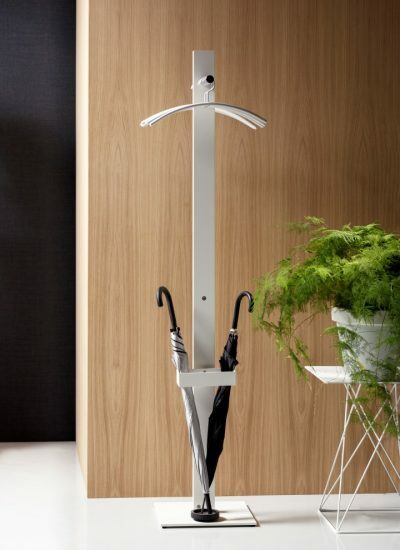 Cascando | Standalone zur Raumergänzung. 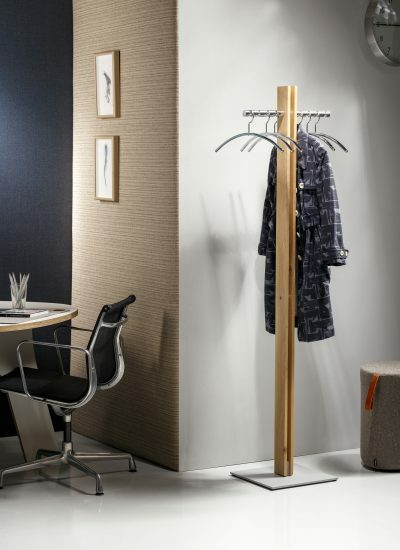 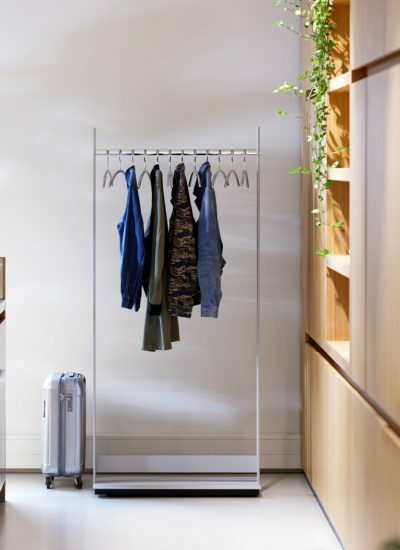 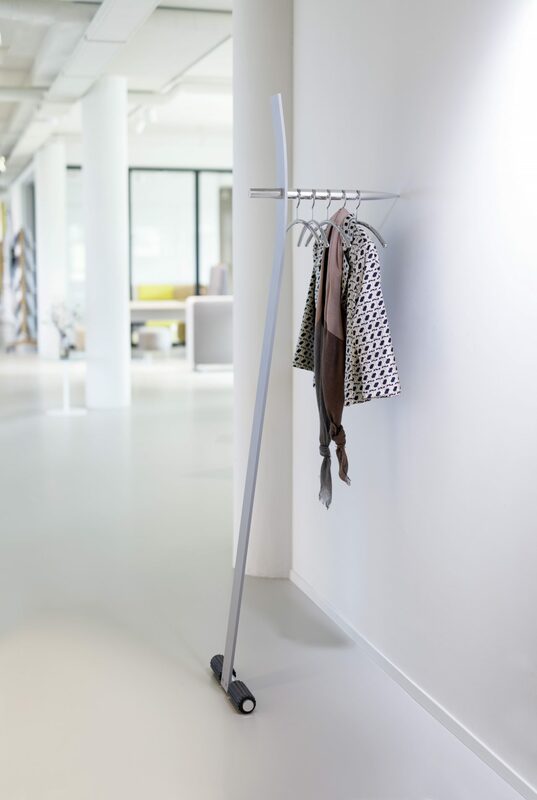 The Standalone coat stand simply leans against the wall. 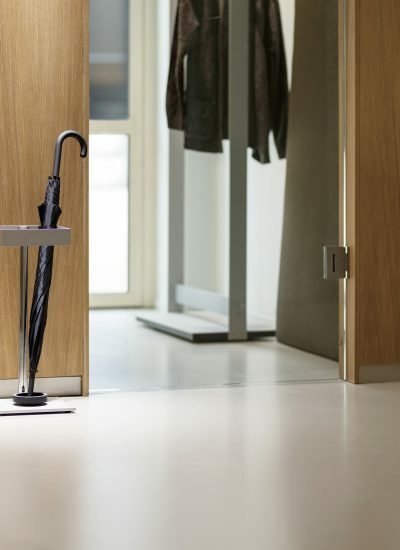 The curved shape of the upright and the rubber sleeves at the base create perfect stability. 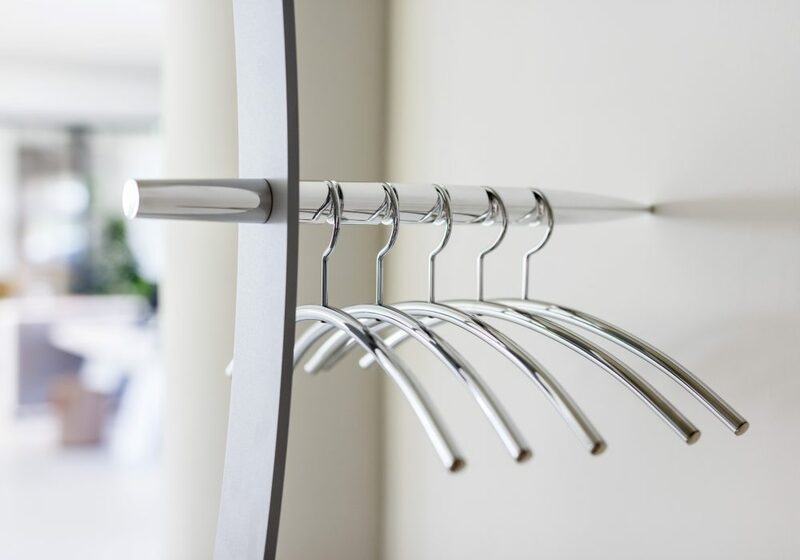 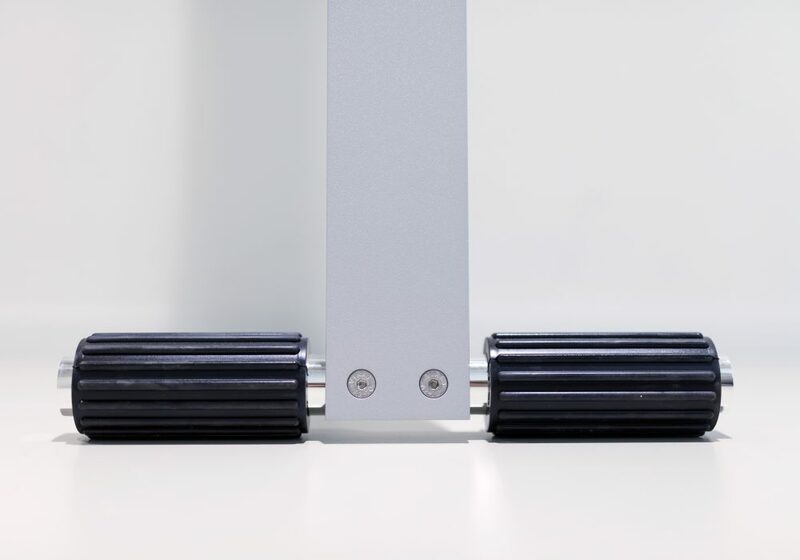 The grooved horizontal bar of polished aluminium accommodates five coat hangers.